In late March 2017, Amarnath Ramakrishna, who was heading the excavation at the Keezhadi site in Tamil Nadu, was transferred to Assam. The Keezhadi site has yielded the first-ever evidence of an urban civilisation from the Sangam era. His transfer has furthered the controversy surrounding the site. In 2015, a team of archeologists from the Archeological Survey of India (ASI), a body under the culture ministry in the central government, began excavations at a coconut-tree farm at Keezhadi, near Madurai, in southern Tamil Nadu. Over the subsequent two years, the archeologists found over 5,500 artefacts. 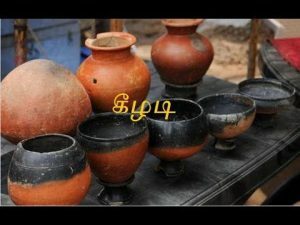 The team found upon investigation that the artefacts were dated to the Sangam era—a period between 400 BCE and 200 CE, which is widely as the crowning point of Tamil art and literature. 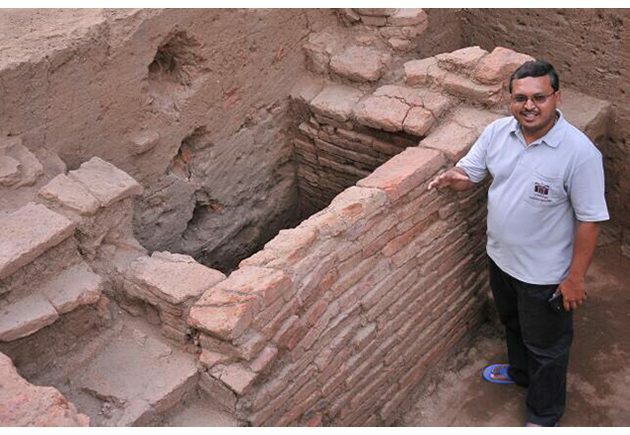 The discoveries were the first-ever evidence of an urban civilisation from the Sangam era. But the project has been mired in controversy—at first, a tussle between the ASI and political parties in the state took place, with the latter demanding that the former not take any objects from the site to Karnataka for observation, as they belonged to the state. Then, in October 2016, when approvals and funding for the upcoming year was expected to be granted, the central government withheld approval for a third season of excavation at the Keezhadi site. This prompted severe criticism from within Tamil Nadu. Members of the Dravida Munnetra Kazhagam raised the issue in parliament, and G Ramakrishnan, the general secretary of the Communist Party of India (Marxist) in the state, alleged that the move was a result of “political design”—that it was in the interest of the ruling Bharatiya Janata Party and favourable to the ideology it espouses to prevent details of an independent Tamil culture from surfacing. The excavation was subsequently given the green light in February 2017. In late March 2017, a few weeks before the third phase was due to begin, the ASI issued a transfer order to Amarnath Ramakrishna, the superintendent archeologist at the site. The transfer did not find favour with experts and politicians in Tamil Nadu, who expressed concern that the order would affect the work at the site. “Such transfers are not generally made during ongoing excavations, particularly in the initial phases,” an archeologist told The Hindu. Saradha V, a journalist based in Tamil Nadu, spoke to Ramakrishna over the phone. The archeologist discussed the significance of the evidence found at Keezhadi, the issues the team faced in obtaining approval to continue excavation, and his concerns regarding his transfer. Saradha V: Can you explain the archaeological significance of the Keezhadi site? Amarnath Ramakrishnan: There have been only two habitation sites excavated in Tamil Nadu so far: Arikkamedu, in 1947, and Kaveripoompattinam, in 1965. All the others have been only burial sites. Keezhadi is only the third habitation site, but it has a far greater importance than the other two. As soon as I took charge of the Bengaluru branch of excavation [the ASI has six excavation branches, of which Bengaluru is one], in 2013, along the Vaigai river, we carried out site identification survey at 293 places. We found 100 habitation sites [that could be excavated]. Of all, those Keezhadi was the most important. Sangam literature based in Madurai gives us literary evidences of urban civilisation in Tamil Nadu. We are trying to find archaeological evidences for the same. We can’t excavate Madurai since it is a continuous settlement. Keezhadi, which is located 15 kilometres south-west of Madurai, can lead us to great revelations about Tamil culture. SV: You have said in the past that it is necessary to extend the Keezhadi excavation for ten more years. AR: Keezhadi is an intact site with no disturbances, since the 110-acre site has been a coconut farm for at least the past 40 years. This is the first ever major excavation that has happened in Tamil Nadu, with 102 trenches dug so far: 43 trenches during the first season [in 2015] and 59 trenches during the second season [in 2016]. Usually, at other sites only two to eight trenches had been dug. Of this 110-acre site, we have excavated only about one acre in the past two years, which is less than two percent of the whole area. We will need at least ten years to excavate the whole place so that we get something substantial after the excavation. With whatever we have excavated so far, we can only say that this site has potential evidence to establish that there was urban civilisation in Tamil Nadu. But we will have to excavate more to establish anything. Of the 100 habitation sites that we found in 2013, some—such as Tirupachethi, Melapasalai—have already disappeared due to road-expansion works. Before Keezhadi faces a similar situation, it is important and also urgent to excavate it so that we don’t lose any evidence. SV: Political parties in Tamil Nadu have alleged that the central government doesn’t consider the excavations in the south of the country as important as those in the north. AR: Keezhadi is only the second excavation project taken up by the Bengaluru branch of excavation, which was established in 2001. [At the time,] there were five excavation branches already—in Delhi, Patna, Bhubaneshwar, Vadodara, and Nagpur—to carry out excavations in other parts of the country. Until 2010, when the Bellary site in Karnataka was taken up, there was no excavation carried out by the Bengaluru branch. And then when I took over in 2013, I initiated the Keezhadi project. Though Bengaluru branch was established to concentrate on the excavations in South India, its purpose was not fulfilled. There is a theory that [in ancient times] Tamil Nadu had only racial groups, and that urban civilisation was found only along Indus-Gangetic valley. Keezhadi’s excavation has the potential to nullify that theory. If there were archaeological evidences to prove that urban civilisation was found along Vaigai river, why can’t people accept it? Don’t we need to know India’s history? SV: So far, what evidence has the Keezhadi excavation yielded that could disprove that theory? AR: The existence of burnt brick structures is an important factor to define an urban civilisation. Here in Keezhadi, we have found continuous constructed walls of 10 to 15 metres in length. We haven’t found such lengthy walls in any other site in Tamil Nadu. We have also found structures of open and closed drainage network, which are clear indications of the prevalence of an urban civilisation. Also present at the site were six furnaces, which indicate the possibility of an industrial site—again an evidence to prove urban civilisation. We have also found square and rectangle tanks for which no inlets and outlets can be seen. More excavations will help us find out more evidences. The carbon dating of samples collected from the site has placed it at 200 BC. Only two out of the 20 samples selected were sent to US for carbon dating, though I have written numerous times [to the central government] seeking approval for all 20 samples. Continuous, long-term excavations in north India have led to the discovery of cities such as Pataliputra, Hasthinapur, et cetera. But in Tamil Nadu, no such excavations have taken place so far. That is why, though we find strong literary evidences of Madurai being a city, we have not been able to gather archaeological evidences so far. SV: Did the central government explain the reason behind the delay in approving the third phase of excavations? AR: I wrote for the extension of the excavation even during the month of May . The approval was expected in October, along with the approval of other sites [in India] where excavation was being carried out simultaneously. But Keezhadi wasn’t [approved]. I met the director general [of the ASI] in November, seeking extension, and explaining the importance of the site. But I was asked to submit a report on the site [to the ASI]. Usually, a report on a site is submitted only at the end of excavation or when substantial work has been done. Anyway, I submitted a preliminary report in the month of January . But I was told the report didn’t have enough details. So, I gave an interim report in February. The approval was given in March, and a fund of Rs 50 lakh has been alloted. But no such report was warranted for the other sites for which permission was granted in October. In fact, 56 such reports for various excavation sites are pending all over the country. For instance, the report on Adhichanallur [another site in Tamil Nadu], where excavation took place in 2005, is still pending. SV: Do you think your transfer will affect the excavation works at Keezhadi? AR: Twenty-five officers including me were transferred according to a newly introduced policy—which said that field officers who have been working for more than two years need to be transferred. But even that policy was not adhered to strictly. There are officers [working on the site] with less than two years’ experience who have been transferred, and also there are those working in a site for more than two years who have not been transferred. We are a research team and not an administrative team. Will the government allow frequent transfers for a project head in ISRO [Indian Space Research Organisation]? Frequent transfers will only affect the efficiency of the team. My team has chalked out the plan for future excavation at Keezhadi. Having a new officer at this stage of excavation will only slow down the process. Since my successor has been dealing with monument maintenance so far, he will take time to understand the site, its importance, and the course of excavation. The excavation might again come to a halt after he retires in 2020. I might also have similar difficulties in Assam [where Ramakrishna has been transferred] to understand the ongoing works there. One more challenge for him would be to convince the locals. The 110-acre site has about 40 owners. We have so far spoken to six owners, and explained the literary evidences and the importance of excavating the site to them before they agreed to permit excavation. While I am of the rank of superintending archaeologist, my successor is a deputy superintending archaeologist. Therefore, there might be administrative hurdles too. SV: Have you challenged your transfer order? AR: It is not that I do not want to work in a different place. Since my posting in 2004, I had worked in Delhi, Goa, Hyderabad, Mysore, Bengaluru, Chennai and other places. During the two years of excavation, we have found some structures which we haven’t found anywhere else in Tamil Nadu. But we have not found complete structures yet to establish anything. To handover a project at this stage will only complicate and lessen the speed of the project. I have approached the Central Administrative Tribunal [the CAT hears disputes related to the appointments to public service and government jobs] seeking to retain me in the Keezhadi project. The tribunal has asked the [ASI] department to consider my request. I am awaiting a response at the earliest. An earlier version of the editorial note in this piece, while referring to statements by politicians regarding the approval for the third season of excavation at Keezhadi, incorrectly stated that “ministers from the Dravida Munnetra Kazhagam raised the issue in parliament.” The members of the DMK who raised these concerns are parliamentarians, not ministers. The Caravan regrets the error. Saradha V is a journalist based in Tamil Nadu, with experience in print and visual media.